Hype Machine Radio Show: Episode 5 + iTunes! 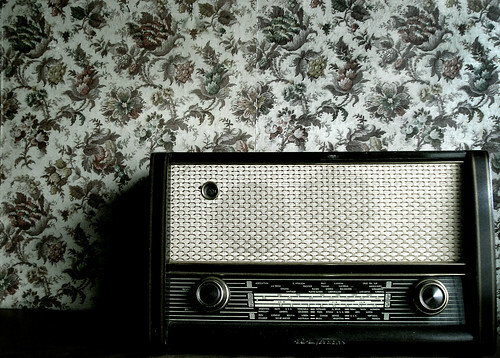 This week’s Radio Show is now live, go check it out! 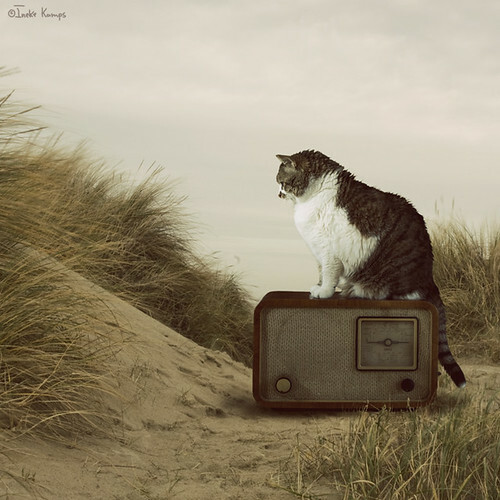 Featuring a slew of awesome New York based music blogs and of course the week’s most popular tracks. We’re also excited to be accepted into the iTunes Podcast Directory. 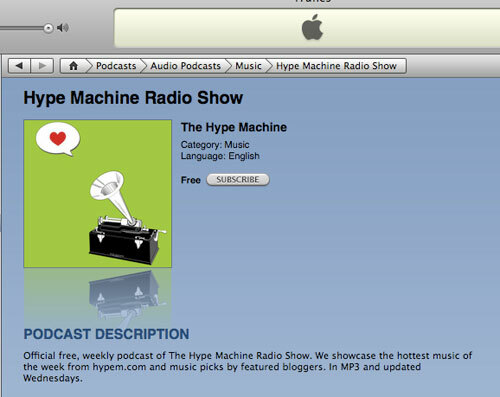 Simply search for “hype machine” or click here and subscribe. And of course if you love it, don’t forget to rate it! We encourage you to subscribe to the podcast feed, download the tracks directly and embed them on your site! We’re looking to hook up radio stations and internet radio stations with the show, so if you have someplace you’d like to hear Hype Machine Radio (like your college station), give us a link in the comments and we’ll get in touch! Radio Show Episode 2 Now Live! The Hype Machine Radio Show: Episode 2 went live yesterday! Head over to the radio page on our site to listen (stream/download/embed) and see the tracklisting of songs+bloggers we featured this week. We plan on getting a new show out every Wednesday but are still fine-tuning the show+presentation so if you have any feedback, we’d love to hear it! You’ll also notice the layout for the radio page has changed a bit. The top features our weekly show but you can still find the non-stop stream below that.